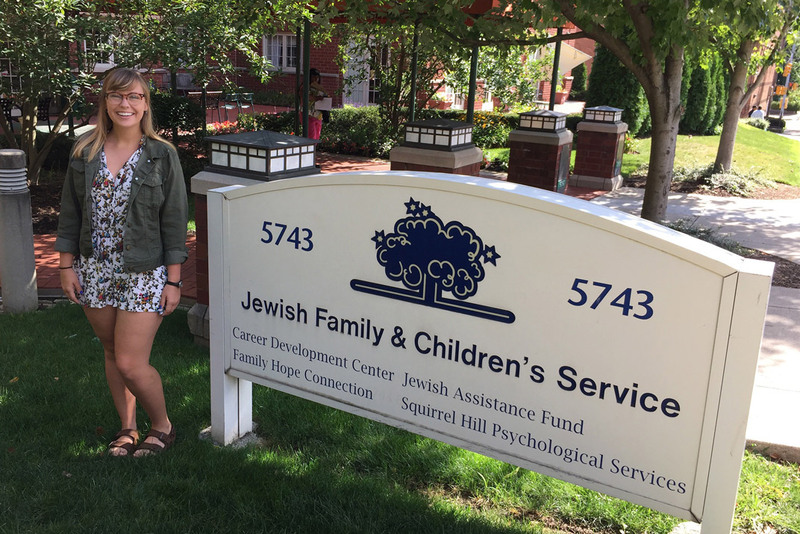 Juniata students interested in community engagement spend their summers, school breaks, or semesters interning at Pennsylvania-based organizations and in settings across the world. No matter where they work, they make a difference by taking supportive Juniata community values wherever they go. "There were days when I was completely energized by this work, and others where it took everything out of me—but at the end of the day, the words and looks of gratitude and true appreciation from both clients and my supervisor made it beyond worth it." "I want to empower communities in their ability to develop a health care system centered on their communities needs while utilizing their strengths to facilitate these improvements." “My favorite aspects of the internship, was being able to grow and learn from an environment that was far different from mine." After joining the 24-member Shepherd Consortium of Higher Education on Poverty in 2017, Juniata chooses five students each summer to work, grow, and intern with Consortium-affiliated non-profits. Students selected then chose their internship, matching it to their passions in community engagement. Check the announcements during early fall for more information about applying to the program and see past Shepherd internships here. Start researching and stop by Career Development in QUEST for more community-based internship opportunities, personalized to your interests. Career Development experts can help you find the right internship, ensure it gets noted on your transcript, and will help you identify alumni-funded resources for interning.